Cimarron's Frontier Pre-War version (1896-1940) are arguably the most famous sixgun of the Old West, if not the best known in the entire world. Cimarron's Frontier models look and heft just like those guns used by the famous and infamous characters of the Wild West. Men like Wyatt Earp, Bat Masterson, "Texas" John Slaughter, the Texas Rangers and the Arizona Rangers, all packed them to enforce law and order. While men such as Jesse James, Billy the Kid, Johnny Ringo, Butch Cassidy and members of his "Hole in the Wall" gang and other hombres who, as they said in the Old West, "threw a wide loop," used them to ply their lawless trade. 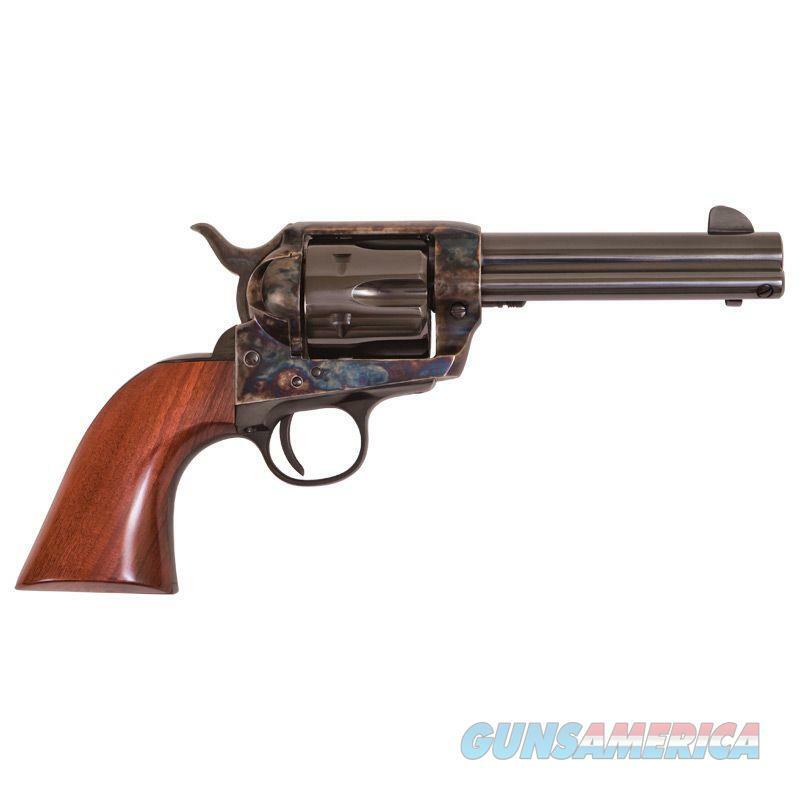 Cimarron's replica, inspired by an original in our collection, sports the traditional blue and color case hardened finish with one-piece walnut grips. Our replicas are exact duplicates of the originals.